An elegant outside, an extremely high loadability, and a joint-gentle cardio training with a lot of diversion are offered by the Taurus commercial exercise bike 10.5 Pro. The upright bike is suitable for exercising at home and at a gym. 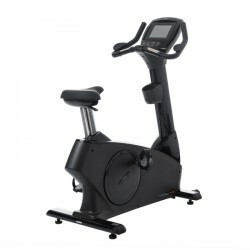 The Taurus commercial exercise bike 10.5 Pro is suitable for commercial, semi-commercial, and home use. The upright bike convinces by its very stable construction, its precious look, and the ergonomic, joint-gentle workout experience. Thanks to its sturdy steel frame and first-class workmanship, the Taurus commercial exercise bike 10.5 Pro can be loaded up to 181 kg. It has a very long durability, making it suitable for commercial use. The two-layer Poly-V belt drive is more durable and very silent. The high-quality interior is covered by an elegant casing. The Taurus commercial exercise bike 10.5 Pro is suitable for use at home and at gym. The flywheel of 10 kg provides a comfortable and very joint-gentle concentric run. The saddle is comfortably padded and 20 times adjustable in height. The space between saddle and floor is from 80 to 109 cm. The Taurus commercial exercise bike 10.5 Pro is easy to adjust to the height of the user. Additional armrests are mounted on the handlebar - optimal for a comfortable position for very long workouts. The Taurus commercial exercise bike 10.5 Pro is easily and intuitively controlled via touchscreen. All in all, 20 programmes are at your disposal - of it six are pulse zones. 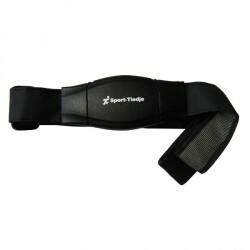 The pulse is measured by hand sensors or is transmitted to the computer by a separately available chest strap. The big display shows simultaneously nine training values for a continuous overview about your training with the commercial fitness equipment. In the middle, the intensity profile is graphically displayed. The Taurus commercial exercise bike 10.5 Pro has a headphones connection and a line-in for MP3 player for entertainment while exercising. 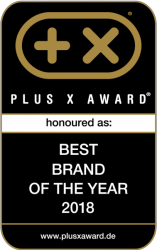 Taurus commercial exercise bike 10.5 Pro add to comparison list.